You save £13.00 that's 65% off! 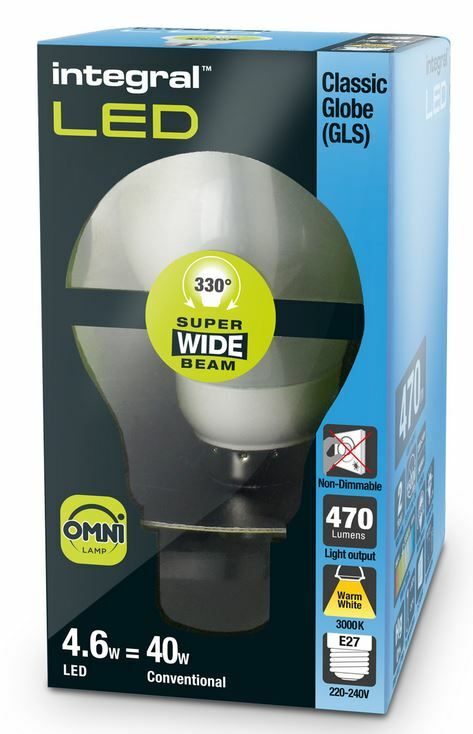 This cutting edge ultra energy efficient rated A++, is a fantastic replacement for a traditional 40W incandescent or tungsten bulb. However operating at only 4W this bulb will save money in energy costs compared to a 40W bulb. It terms of brightness it delivers a warm white light and brightness, similar to a 40W filament bulb. It has the appearance, feel and weight of a traditional light bulb featuring a ceramic filament COB LED chip, which enables a super-wide 330 degree beam angle. Finished in an aluminium and plastic, thermally efficient body. Ideal for living rooms, hallways and kitchens.